Who said Mondays can’t be enjoyable? 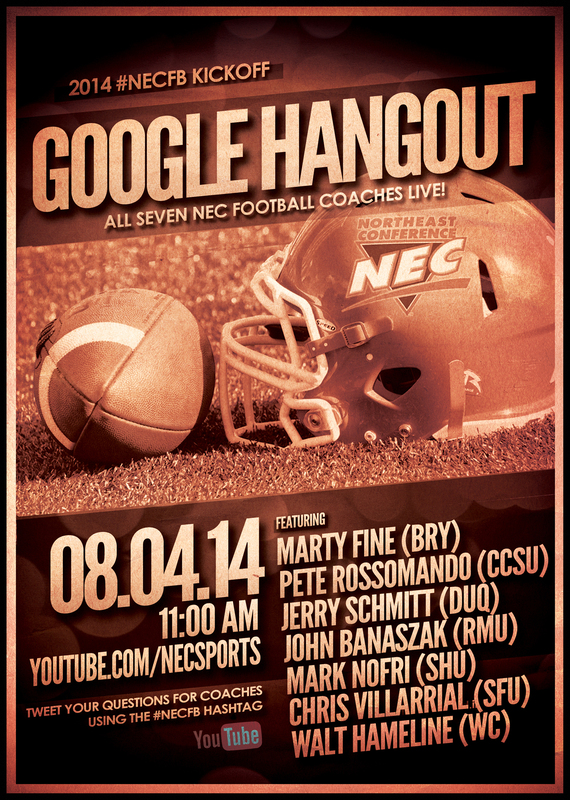 The Northeast Conference is giving football fans a reason to look forward to the start of the work week. Overtime! has learned of a change in the composition of the All-Northeast Conference Football Teams. Approval has been secured for the coaches’ proposal to increase the number of All-NEC honorees. As a result, All-NEC football teams will feature 27 members, up from 25 in previous years. #TBT – Remember Jon Corto? To celebrate the great news coming out of Sacred Heart today (senior DT Troy Moore was named to the Buck Buchanan Watch List), we will throw it back to one of the greatest defensive players to ever don the Red & White. Jon Corto earned All-NEC First Team accolades at linebacker in 2006 before going on to spend five seasons in the NFL with his hometown team. A native of Western New York, Corto appeared in 37 games with the Buffalo Bills. The Walter Payton and Buck Buchanan awards are the top two individual honors in the Division I Football Championship Subdivision. Neither has yet to make its way into the hands of a NEC student-athlete, but Keshaudas Spence, Troy Moore or Rob Hollomon can change that. 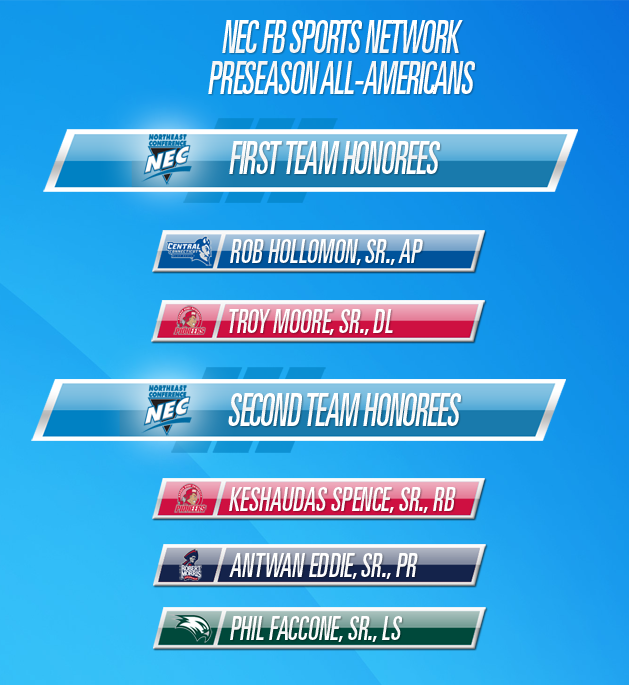 Five #NECFB players found themselves listed amongst the Best in FCS when the Sports Network opened the month of July by announcing its Preseason All-American Teams.